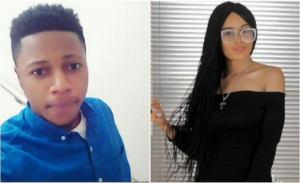 BB Naija 2018 housemate Nina’s boyfriend Collins is finally speaking out and says he has moved on with his life. Meanwhile, Miracle has said he is more concerned with making money than exploring a relationship with Nina. He had explained during an interview, “My relationship with Nina does not change outside the house; we are still good friends. I plan to make good use of the friendship with Nina; at least, it will reduce the proximity of female fans and all. With her, it is easier to set the barrier.